The New Hampshire Film Festival kicks off Thursday in Portsmouth, and will feature a variety of domestic and international films. 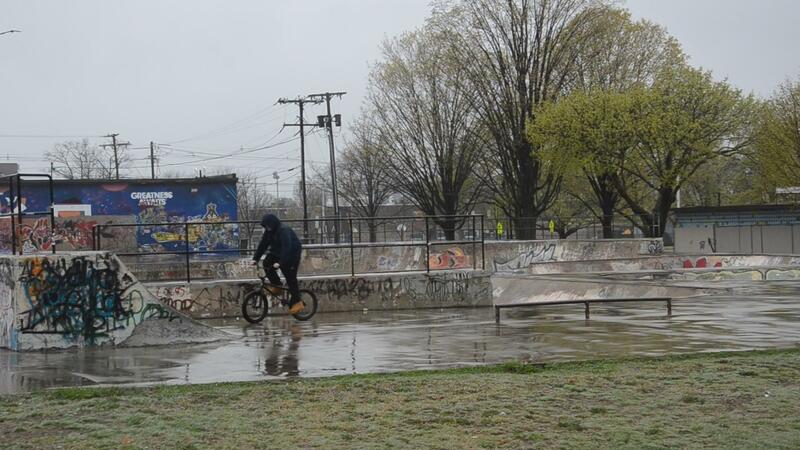 404 Not Found, a documentary about homeless youth in Manchester, will premiere at the festival opening night. Morning Edition Host Rick Ganley spoke with producer Nancy Phillips about the film. This transcript has been edited lightly for clarity. Nancy, what inspired this film? The film was originally inspired by an article written in the December issue of New Hampshire Magazine by Maggie Wallace, who is a journalist, and Jasmine Inglesmith. I read the article and was doing a project for a class at UNH. I called the two girls, and we got together to discuss the situation. I asked them to do a small video and we started working together. The project grew and grew, and it turned into 404 Not Found. You collaborated with the Child and Family Services on this. How did that come about? Did you have to pitch them on the idea? Well they were extremely supportive of the original article written for New Hampshire Magazine. We worked extremely closely with them. If it weren't for them the film wouldn't exist in its form. How did you or the other filmmakers come up with that title? The title is as you probably know the Internet error code: 404 not found. But it is also the address of the original youth resource center that was located on Elm Street, 404. And they now have a new location, but the kids are referred to the center as the 404. So what were your goals in doing this film? Are you and your fellow filmmakers hoping that the documentary will, you know, influence change? When we sat together and said you know we just can't live with this issue, we felt what can we do? We can tell people based on the concept that awareness is step number one. And do we have a number that we can put on this? How many children under the age of 21 are living in this situation? Yes and no. In New Hampshire there's not been an exact census. And even if there were, you would not get a realistic count because many of these kids are completely under the radar. The estimate is at least 3,000. But again even those counts are still going to be understated because people are not raising their hands identifying themselves because of the different reasons they are homeless or under the radar. What are some of the common situations that you heard about? I would say not in a particular order: abusive at home, rejection by families because of sexual identity issues, drug use often by the parents not necessarily by the kids. The film follows teenagers in these really tough situations. Were they open and willing to tell their stories, or was there any resistance? I mean I imagine there was a level of trust that needed to develop. Yes. These young people were extremely anxious to tell their stories. It was almost like this is an opportunity for someone to listen to what it's like for me. We did also follow CFS, their outreach program, which goes into the woods on the river in different parts of the state to talk to people that are living in those locations. And in those situations these people didn't want to be filmed, and although they would talk to us at length and tell us their stories, we were not able to record them because most of them don't want to be found or identified. Why is that you think? Is there a fear that they'll be moved or arrested? Where does that come from? One circumstance when we were in Manchester along the river—there's sort of a tent city—the day we had gotten there the city had just posted an order that these people had to move. So of the people we talked to, you know they were very nervous about saying where they were going for fear that their next location would be discovered and they would have to then find another place to live. I think that if you're talking about someone who's trying to avoid foster care, they're not wanting to be known for fear of having to be put back into that system. But it's probably difficult for them to make that step towards trusting people since they've lived in such uncomfortable situations for much of their life, such traumatic situations. The two places could not be more different: the Dartmouth College campus and the Sullivan County jailhouse. Yet, in a new documentary, college students from Dartmouth and female inmates worked together to write short plays about what it’s like to be incarcerated. The process generates a conversation about privilege and the justice system. Seven years in the making, the film debuts this Saturday at the White River Indie Festival. NHPR’s Peter Biello spoke with the documentary’s director, Signe Taylor, about the making of the film. In Manchester, recently installed signs discourage giving money to people on the streets, warning that cash could be used to buy drugs. 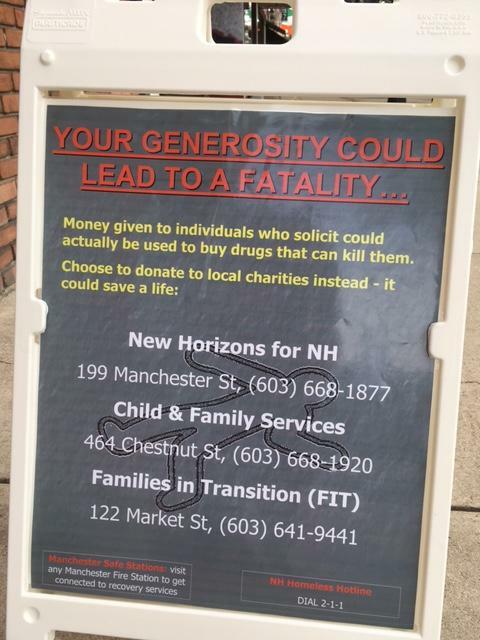 Other communities around the state have tried a variety of approaches, as they grapple with the overlapping problems of addiction, homelessness, and mental illness. A recent agreement between a Concord homeless shelter and the federal government could help end discrimination against domestic violence survivors who face homelessness. 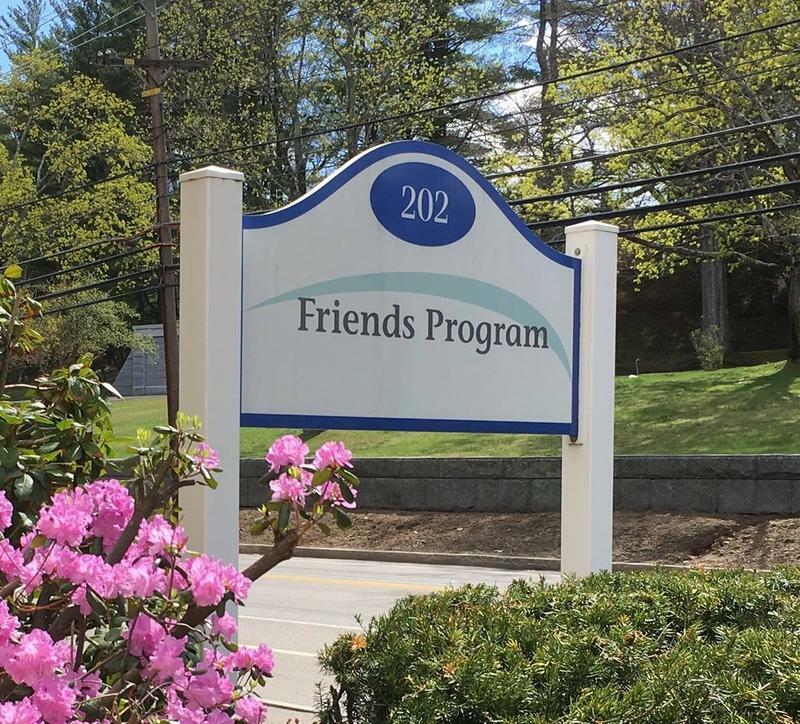 The settlement includes the US Department of Housing and Urban Development, the Friends Program in Concord, and a female survivor of domestic violence.